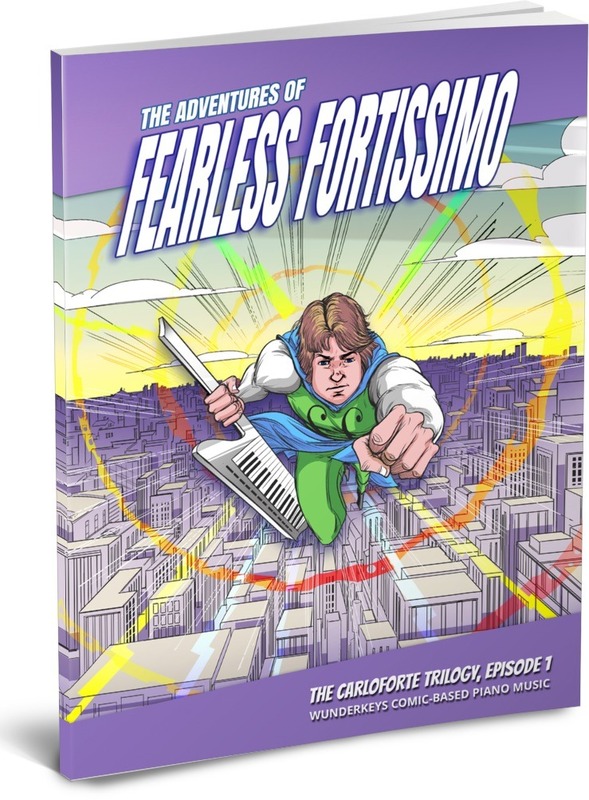 The Adventures of Fearless Fortissimo is the Bam, the Zzzwap, and the Kapow for teaching children who crave action to love piano lessons. Each book in the collection turns original piano pieces into the backdrop for a thrilling comic adventure. As your children learn the music they become the driving force behind the story. Drawn into the tale, they will be keen to perfect each new piece to help the story unfold. The Carloforte Trilogy, Episode 1 is the first of three books in The Adventures of Fearless Fortissimo, Series 1. The 10 piano pieces are composed for children aged nine to twelve who are working in a Level 2 method book. A visual preview for The Adventures of Fearless Fortissimo: The Carloforte Trilogy, Episode 1 is available here on Amazon.